The sweetest fruit grows at the top of the tree. True in nature; and true in life. Your body is your ladder. Invest in it wisely if you wish to climb the highest branches to enjoy life’s richest fruits. Psychologist Abraham Maslow first published his famous “Theory of Human Motivation” in Psychological Review in 1943. After studying some of the world’s greatest achievers and the top 1% of a college student population, he outlined his theory on the hierarchy of factors that motivate human behavior. He continued to expand and refine the theory throughout his career. Maslow’s “Hierarchy of Needs” remains a theoretical pillar of modern psychology and is widely used for both research and instruction. Although not Maslow’s original intent, the hierarchy is popularly represented as a pyramid. The lower levels are stages that an individual must master in order to achieve the higher levels of function. I prefer to see it as a ladder. Each of us has our own individual ladder. It is the way we access fruit in the orchard of life. 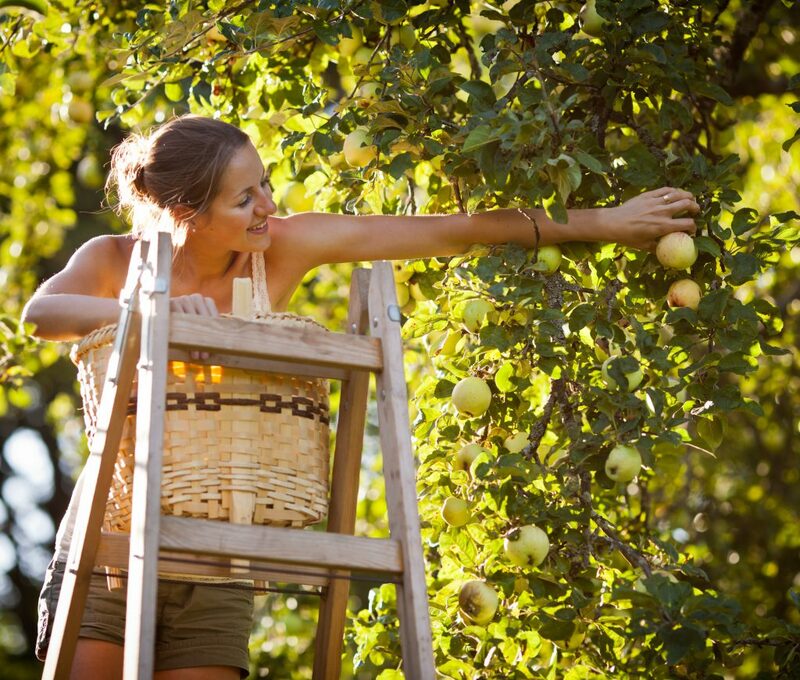 We can reach low-hanging fruit by using the lowest rungs of our ladder. But the sweetest fruit is at the top of the trees. We have to master our ladder to consistently feast on life’s greatest riches. As with a regular ladder, we can’t skip the bottom rungs. We have to build competence in the lower levels before we can confidently advance upwards. 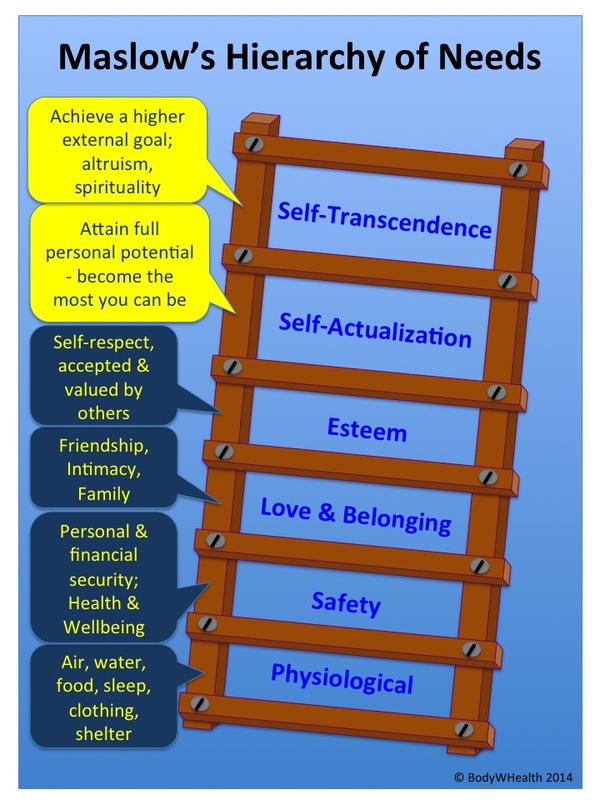 If you study the ladder carefully, you will see that mastery of the lower levels has a great deal to do with our body – our physical and emotional health. This is why I call my own philosophy and practice BodyWHealth. It is through sustained investment in our Body that we can attain the WHealth found at higher functional levels. Like any model, Maslow’s Hierarchy of Needs is an imperfect embodiment of life. In particular, it lacks robust translation across diverse global cultures. But it has sufficient accuracy for us to use it as a framework to guide our efforts and progress. The first step of the ladder describes our life-sustaining need for the most basic physical elements; air to breathe, water and food, rest and sleep, clothing and shelter. Until we have these, we can’t contemplate the next level that includes our need for personal and financial security. This grouping, described as “safety needs” by Maslow, includes physical health and wellbeing. 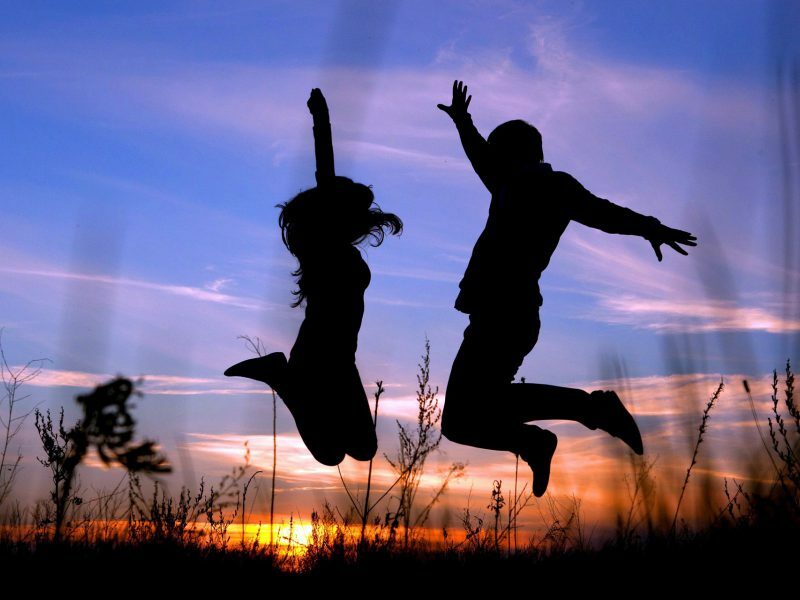 Having satisfied our basic physical requirements, we can progress to the third level where we begin to address our emotional needs with family, intimacy and friendship. The fourth level motivates us to address our esteem as we search for recognition and respect from others first, and ultimately from ourselves. 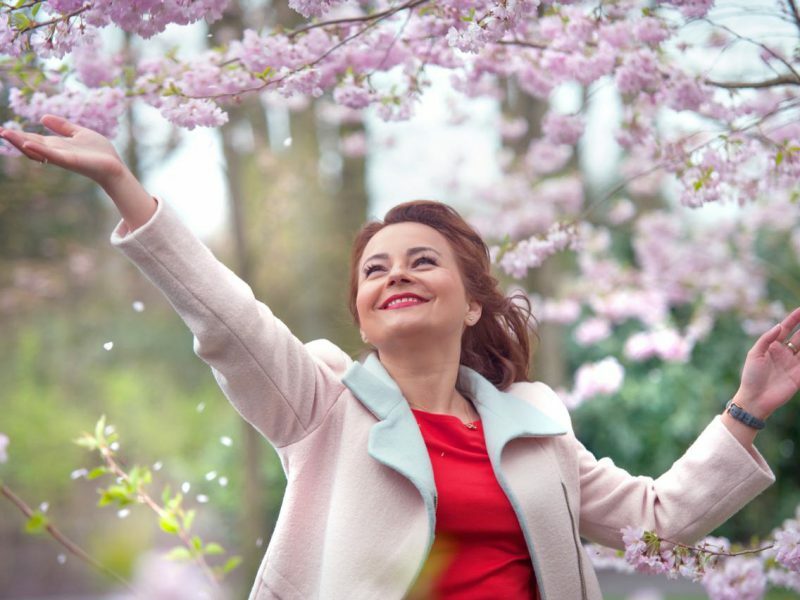 Maslow suggests that these four steps comprise the essential framework for successful life, and intimates that the subsequent “growth” steps take us beyond simply living to “self-actualization” and ultimately “self-transcendence”. He asserts that mastery of the first four stages is required before you can reach the highest rungs. It is important to know two things about this model. First, although it may appear to be a logical modular progression, it isn’t. We are driven by needs at several levels at any one point in time, but one tends to dominate. That is where we spend our time and energy, and success at this level allows us to progress to a higher aggregate level. Second, we don’t only move upwards. As we live our lives, we go up and down the ladder. Events, often beyond our control, bump us down to lower levels. 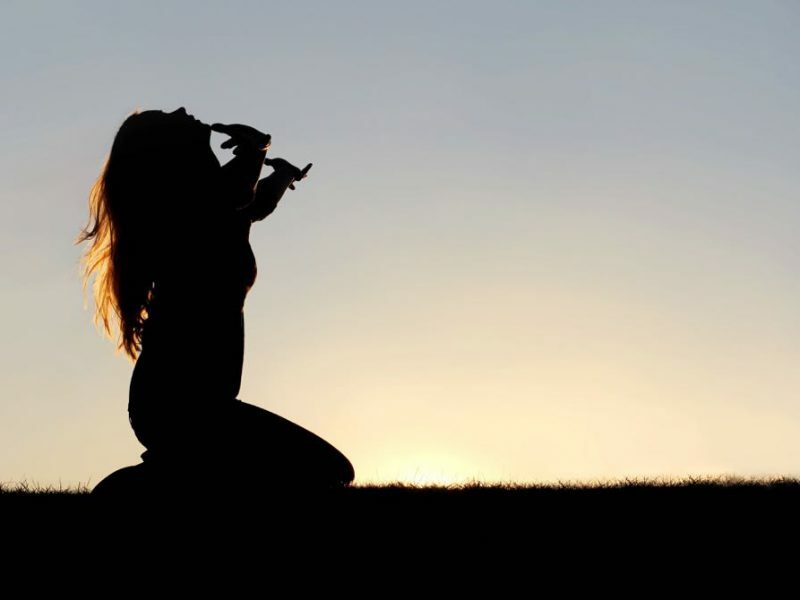 For example, a financial disaster or professional set-back can rob us of both the self confidence of level 4 and the financial security of level 2. By keeping our hands on the ladder, investing through our bodies, and our eyes facing upwards towards the WHealth at the top, we are able to work our way back up again. And often, as anybody that has had a personal setback will testify, we neglect our bodies at exactly the time we should be focusing on our health. More “important” things distract us. So, whether we’re starting our journey, or recovering from a fall, or balancing delicately at the top of the ladder to master self-transcendence, we must remember the critical work we do building physical and emotional strength. These are the foundations for WHealth, and this is the predominate focus of the BodyWHealth doctrine. Some of you may be tempted to rush up the ladder, quickly grabbing sweet fruit, and balancing precariously on rickety rungs. It’s an approach, and may offer some short-term gains. But the BodyWhealth we strive for is a sustained condition where we consistently avail ourselves of life’s greatest riches. For this, the basics need to be in place. Always! BodyWHealth is the best investment you can make. It takes hard work to sustain appropriate exercise and nutritional habits. It takes great courage to pursue emotional development. You will find guidance on both in these blogs. The rewards are rich. At the highest levels in the hierarchy of life, we engage in altruism, a selfless generosity of being. Compelling scientific data continue to emerge describing the abundant benefits of this state. Join in as we journey towards this WHealth.